It’s first thing Monday morning. Never a good time, not for anyone who has to work for a living, but on the deck of the steamer Hayle the men are getting back into harness for another normal week’s routine. 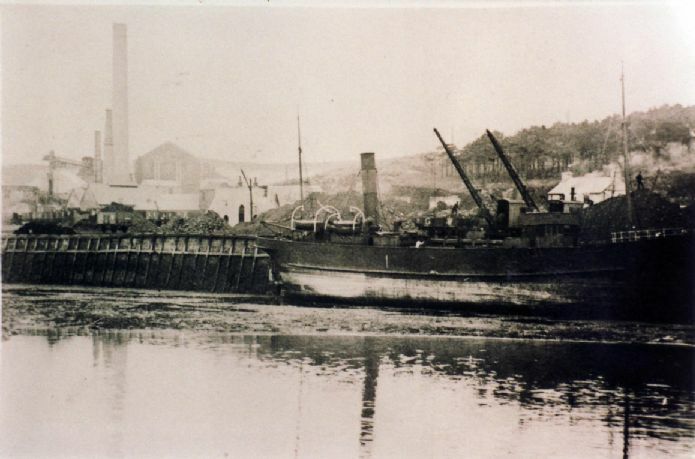 There is coal to be unloaded on the North Quay at Hayle, and a thirsty steam crane to attend to. 62 year-old George Cook is bucket-carrier, and his responsibility is to bring half a dozen sloshing buckets along the Quay, two at a time, and drop them behind the crane before pitching the contents into the boiler. Behind the very crane that is currently unloading coal, swinging its own buckets from steamer to quay. The scene can be pictured, unfolding in slow motion. It would be cold, wet work - George Cook is not the most fortunate of the dockworkers. But today he is unlucky – or, as the Home Office Inspector of Factories will suggest at the inquest, foolish. Before he can put his buckets down, both he and they are caught by an incoming load of coal, swinging from the steam crane, and swept clean off the Quay. It is not only the cold March seawater, but also something less yielding, that breaks his unexpected fall. His head wedges under the surface, between the stone wall of the Quay and the edge of the boat. Despite the efforts of the men to get him safely back onto dry land, George Cook never regains consciousness. When pulled up, the inquest will hear, he was still gripping the bucket handles. The inquest hears that the harbour master cannot be blamed – he was not there at the time. Mr Henry Thomas - a Harvey and Co employee who did happen to be present - eventually and rather grudgingly admits that, although Cook had been walking round the crane the wrong way “there was a certain danger in feeding the boiler while the crane was over the steamer”. He agrees to pass the new hard-earned wisdom on to the Company. Thus, by inches, do death and serious injury come to be viewed as exceptional and preventable, rather than part of the normal course of working life.